Opioid addiction treatment & Effect on Children – The steady increase in the number of people abusing opioids and overdosing on prescription drugs has taken its toll on the U.S. However, it is not only the drug abusers themselves that suffer because of these substances but also the people around them. Children are greatly affected by the opioid epidemic when their parents or caretakers lose control of their drug use. From the early days of pregnancy even until they reach high school, children with parents who abuse opioids are at risk for a number of problems. Prenatal drug exposure can give children health problems and unfortunately this trend has been increasing in the U.S. More expectant moms addicted to opioids have been placing their babies for adoptions out of fear that they will not be able to provide parental care for them. Children born to moms who have been abusing opioids have to experience withdrawal symptoms upon birth because the drugs are in their system as well. Prenatal exposure to opiates causes the worst withdrawal effects compared to other drugs. Adoptive parents often have to decide whether to adopt a baby that has been exposed to opiates due to the birth mother’s addiction. Even for parents that were not addicted to drugs at the beginning of their child’s life, their behavior can have a dramatic impact on a kid at any age. Even previously great parents can become distracted and unavailable to children when they are dealing with an opioid addiction. Once the drugs take hold they will find it more and more difficult to be present for raising and caring for a child. Parents can become addicted to opioids for variety of different reasons but many of them simply get hooked on prescriptions after surgery or pain issues. Once an addiction escalates they may start to disappear from their child’s lives and end up neglecting them at key stages of their development. Many of these parents struggling with addiction still care about their children but find it hard to balance parenthood with the things they are going through. Unfortunately many kids now are either dealing with parental neglect or they are reeling from the aftermath of a parent’s fatal drug overdose. The recent opioid epidemic has sent a flood of children to foster homes after losing their parents to an addiction. In many areas of the country the number of children in court custody has increased and even quadrupled in certain cities. Mainly because of the opioid crisis, studies revealed that there were 30,000 more children in foster care in 2015 than there were in 2012 which represents an 8 percent increase. In 14 states, the number of foster kids rose by 25 percent between 2011 and 2015. The problem became so severe in states like Texas, Florida and Oregon that kids had to sleep in state buildings because there were no more foster homes available. Many states are low on federal child welfare money and are struggling to find a solution to the sudden influx of foster kids in need of care. The states hit hardest by prescription drug abuse and high overdose rates are not able to accommodate every child that has been orphaned by drug addicted parents. With the opioid epidemic continuing to increase, the problem is only getting worse for kids. Even for children who still live with addicted parents, the effects on their development can be severe. 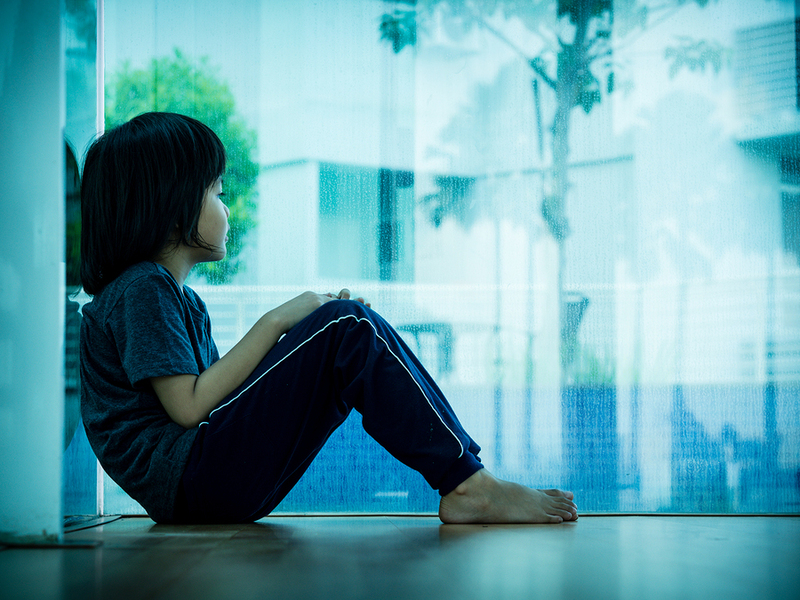 Children in households where parents struggle with substance abuse are more likely to experience long-term effects of neglect or abuse than other children. Having an addicted parent is considered a type of early trauma exposure that can have serious repercussions on their mental health. Children with addicted parents are more likely to suffer from mental health disorders including their own issues with substance abuse and illnesses like depression, anxiety or post-traumatic stress disorder. Living with an addict can have a profound impact on a young person’s mental health. There have also been reports of an increase in teen suicides that are closely linked with the opioid crisis. Kids with parents who suffer from addiction are exposed to neglect and sometimes abuse and violence. According to opioid addiction treatment specialists, Growing up in this environment can make them more likely to struggle academically and socially as they get older. Parents who don’t get help for their addiction are potentially creating life-long problems for their children. Opioid addiction is on the rise but it is possible for people to recover by and lead more stable lives while providing better parental care. There are many opioid addiction treatment centers that can offer help for anyone struggling with a dependency on prescription drug. If you or someone you love has a problem with painkillers then contact a opioid addiction treatment facility near you to get help.